No one likes a bootleg, especially from a client and stealing design ideas is the foundation for the recent legal battles between Apple and Samsung. Quid Pro Quo: Apple vs. Samsung saga continues with counter lawsuit. 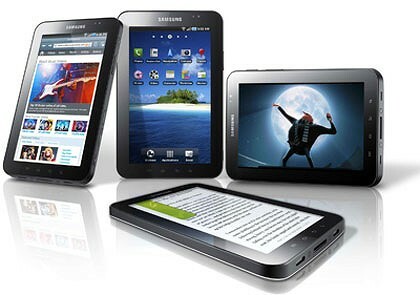 First Apple filed a lawsuit last Friday alleging Samsung violated patents and trademarks of its iPhone and iPad. Check out our earlier post. Now it’s the Samsung counter lawsuit, its first against its biggest client days before it launches a new product and could jeopardize business ties between the two companies, as Apple relies on Samsung for component supplies such as chips and LCD displays. 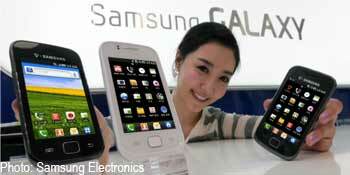 “Apple is quite annoyed by Samsung’s fast rise in a market…,” James Song, an analyst at Daewoo Securities, said on Friday. Samsung, which had a fraction of the booming market until early last year, is estimated to have sold around 13 million units of smartphones in January-March and aims to sell 60 million units this year. Samsung said the suits, filed in South Korea, Japan and Germany, involved 10 alleged infringements of patents mainly involving power reduction during data transmission, 3G technology for reducing errors during data transmission, and wireless data communication technology. “Samsung is responding actively to the legal action taken against us in order to protect our intellectual property and to ensure our continued innovation and growth in the mobile communications business,” the statement said from Song. Global technology companies are locked in a web of litigation as they try to defend their shares of the booming tablet and smartphone market. Strong sales of the iPhone and iPad translate into more revenue for Samsung. Apple was Samsung’s second-biggest client after Japan’s Sony Corp (6758.T) last year, bringing in around 6.2 trillion Korean won of sales, and is widely expected to become Samsung’s top client this year. “But both know that they need each other. Apple can’t suddenly change to other company for supplies of memory chips and mobile processors, because there’s no one able to meet Apple’s requirement in terms of technology and capacity other than Samsung.” Song said.The battle comes ahead of Samsung launching a new version of its successful Galaxy S smartphone next week in Korea, a key product for the world’s No.2 handset maker to meet its target of 60 million units of smartphone sales this year.